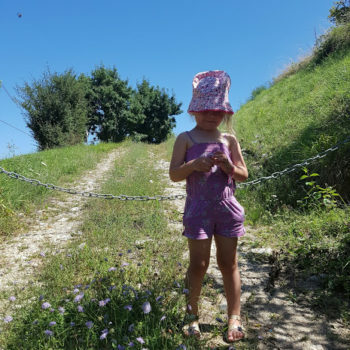 Blog » A Family-Friendly French Adventure – In a Camper Van! 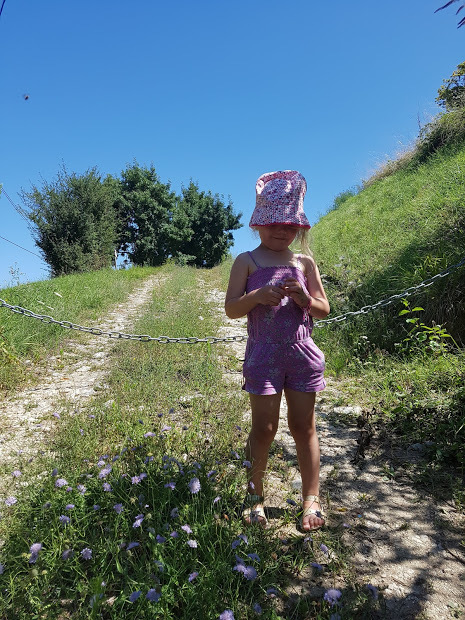 A Family-Friendly French Adventure – In a Camper Van! Forget fancy hotels and all inclusives – you can have so much fun on a road trip! 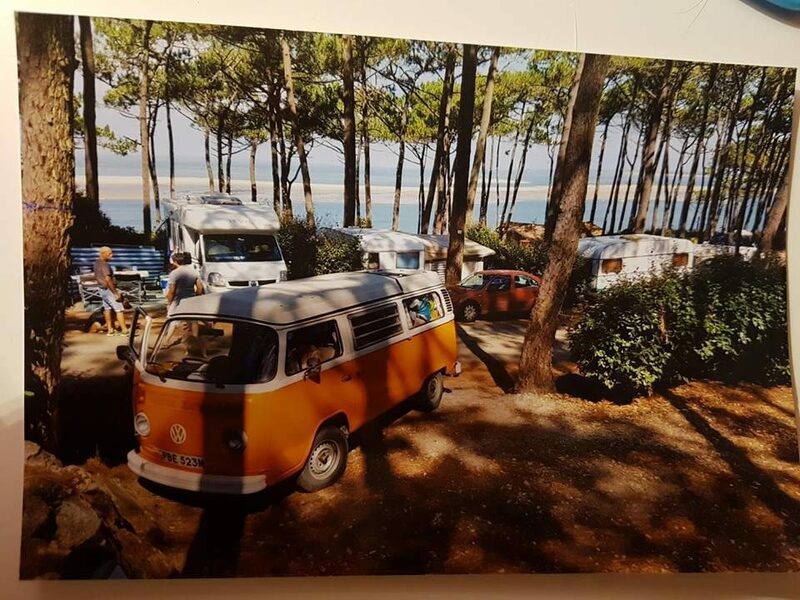 Mum-of-two ROSANNA NOLAN shares her family’s French adventure in a VW Campervan. One Friday last August, my husband and I decided to purchase a 1972 T2 Bay VW Campervan. We named her Phoebe, and spent the next two weeks getting her MOT’d, serviced, and kitted out with everything we could think of, for every eventuality. Then we packed our tiny boxes of clothes into her tiny wardrobe, and took her across the channel! 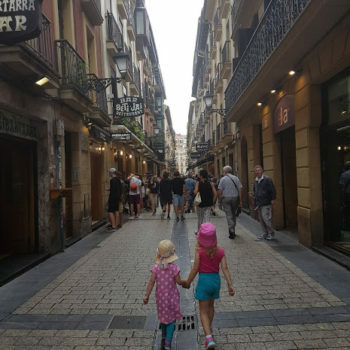 We had booked a 4pm crossing from Portsmouth to Bilbao, Northern Spain, with a leisurely drive in mind – not that we really had any choice, since the previous owners said they had never driven her over 50MPH. Do not underestimate how long it takes to get anywhere driving at 50mph! We set off at 9am, and I think we arrived in Portsmouth at 3pm. 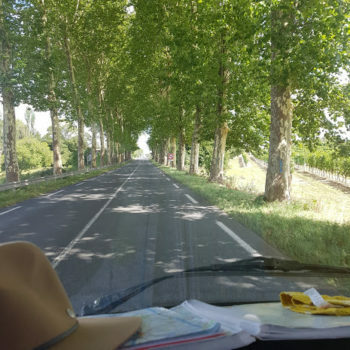 And France is a different story altogether – we decided to drive the scenic routes, and it literally tripled the time it took to get anywhere, versus sticking to the motorways. 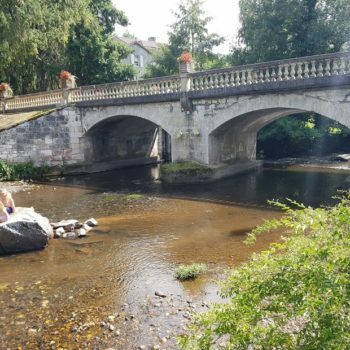 It was worth it though, as we came across some gorgeous little villages and picnic spots. 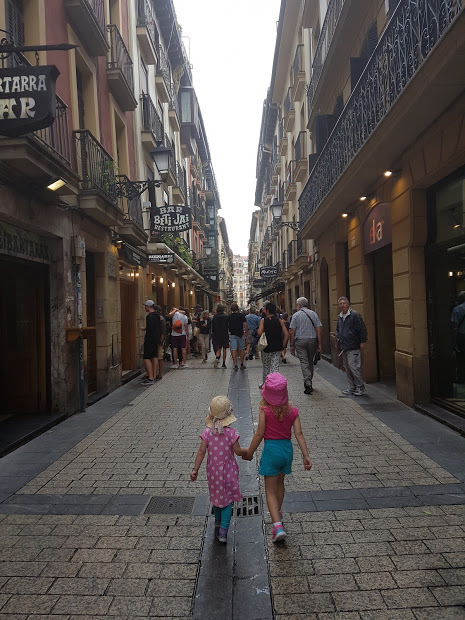 So, after two nights on the ferry, we arrived in Bilbao and headed to our first stop, San Sebastian, for lunch. 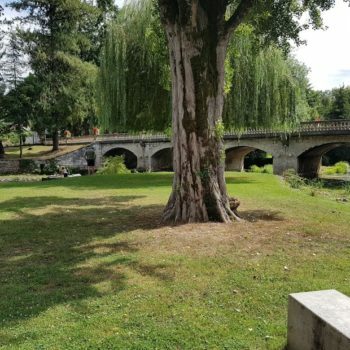 I had not actually managed to find anywhere to stay for our two weeks in France, as all the campsites I had tried were either fully booked, or not available for the nights we wanted. 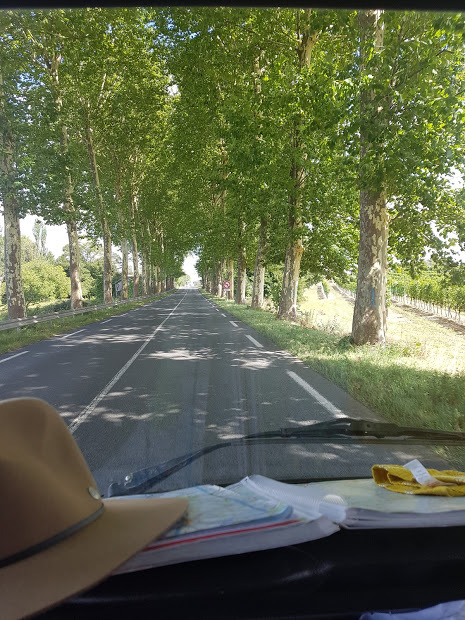 So in the midst of self-navigating our way up through the Spanish border and into South West France, (we made a pact to only map read on our holiday – no Google maps or sat nav! ), I phoned a dozen campsites to find somewhere for our first night. I had a stroke of luck when I phoned a lovely looking ‘Yelloh!’ campsite at Dune du Pyla, (Panorama Du Pyla). They had space for three or four nights, they said, but it was first come first served, only bookable on arrival. So we arrived at 7.30pm, and there were no spaces left. We tried every campsite on that road (about eight! ), but nothing. With an hour until it got dark, a drained phone battery (so I couldn’t even cheat and Google more campsites), no sat nav (and no means to plug it in anyway! ), I got my little ‘French Campsites’ book out. We navigated to a few more campsites in the area, but by 10pm, still had not found any, and had even tried hotels out of sheer desperation. We drove around until 11.30pm. The girls still wide awake and us, completely shattered. One of the hotels suggested a little carpark where she said we could camp up overnight, and it was free. We knew where she meant as we had passed it earlier….in a little village, on a little roundabout, next to a little police station. 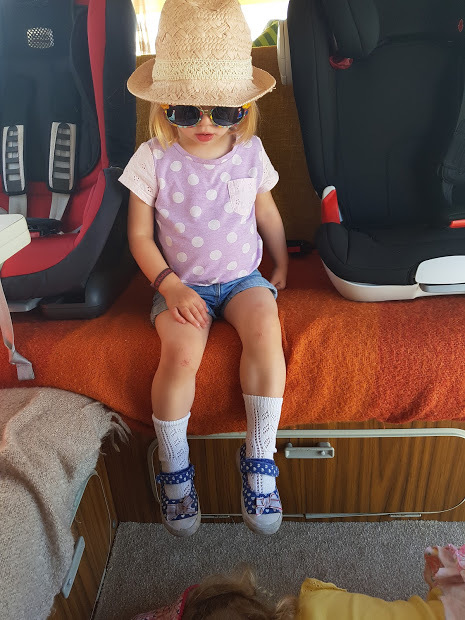 So we found it, parked up between two other motorhomes, heaved everything into the front two seats so we could set up the rock ‘n’ roll bed, and locked ourselves in. The girls slept fine, but it was a very uncomfortable, sleepless night for Danny and I. The inside lock on our sliding door is broken, so in the morning I had to crawl up onto the roof, crawl out, and jump down to unlock from the outside. We had to leave before the carpark came into use at 9am, so we drove back to the campsites from last night to see if they had any vacancies, but it was too early and we had to go back at 12pm. Just a note; a lot of the larger campsites, which are run by big companies like ‘Yelloh’, often keep some pitches reserved that don’t need booking. These work on a first come, first served basis and are great, because if you manage to get one, you don’t need to prepay and you can leave when you want. So, if you had planned to stop there five nights, but on day three there was torrential rain and you want to move on, (like us!!) you can let them know by 12pm the day before you wish to depart. And then you just pay on departure for the nights you have stopped. In the end, we got a pitch and were very giddy to be finally setting up camp. With a little help from two neighbouring German men to set up, we finally did it and had our first ‘proper’ night in Phoebe. This was a lovely campsite, with brilliant facilities, a kids’ park, a pool, and children’s entertainment. The only issue was that it was at the foot of the famous Dune du Pylas, so incredibly windy and rainy. We decided to move on after three nights, and as the coastal weather forecast wasn’t great, headed east towards Bergerac. After a long drive (which scarred our girls for life, as whenever we go out for a day trip now, they think we are going to be in the car for at least seven hours! 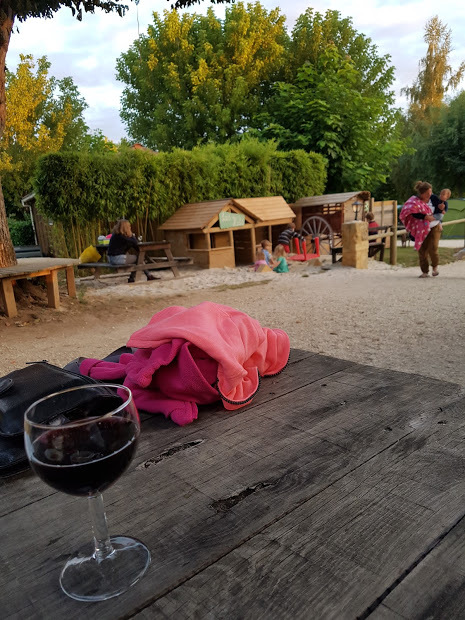 ), we found a gem of a campsite in Saint Nathalene, called Domaine du Mathevies. They could only offer us a plot for one night, but it was 8pm, we were starving and we loved the campsite. So we snapped it up! This was a gorgeous, smallish campsite, brilliant for families with young children, very laid back and simple, yet worked perfectly. There is a small outdoor play area where young children can play in the sandpit whilst you have a drink or meal. And there is a brilliant, cosy, indoor play room for keeping little ones entertained. They also offer about seven plots around the park/play area. 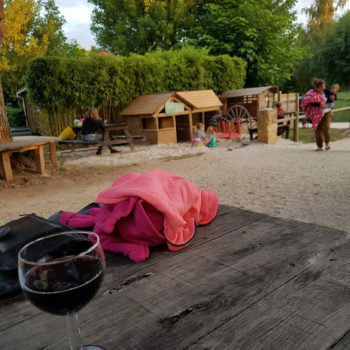 If you are lucky enough to get one, you can sit outside your camper/tent and have a glass of wine, whilst your little ones entertain themselves in the park! We can’t wait to return to this campsite and were really gutted we could only stop the one night. 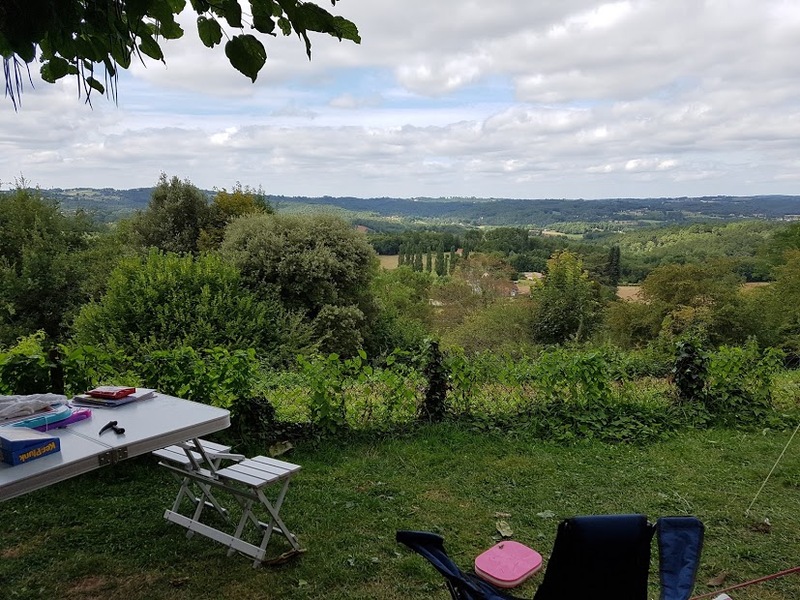 Eventually, after another trail round to find a campsite we liked/had space, we found another beautiful campsite not far away, in Sarlat- la-Caneda. 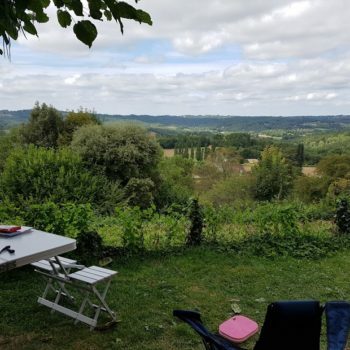 My husband managed to wangle a perfect plot, overlooking the Dordogne valley. We love this campsite too, but will return in a few more years when the girls are a bit older, as the park/pool etc are in a separate area to the camping plots. 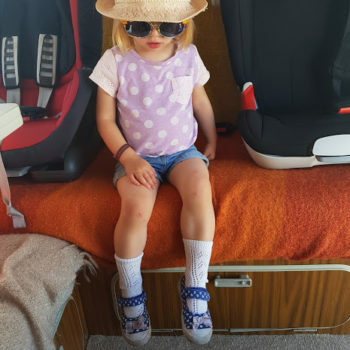 It would be ideal when they are old enough to go to the park themselves, so we can sit and relax and enjoy the views by our camper! 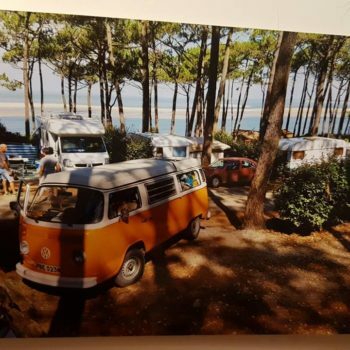 This spotlessly clean, family-run campsite was called ‘Camping Les Terrasses du Perigord’. It was a lovely peaceful site, with a small bar/restaurant area, indoor games room, adults only spa area, pool, playground and tennis courts. They also offer a few mobile homes/lodges. We didn’t do too much whilst we were here, as we were determined to relax. We had a wander around the market in the beautiful village of Sarlat, and found a delicious ice cream parlour. Chateau de Beynac is also a MUST see! The views of the Dordogne from the viewpoint within the castle are spectacular. Then you can treat yourself to a drink in the tearooms, which also have exhilarating views of the Dordogne and surrounding area. I could have sat there all day! After four delightful days, it was time to pack up and head north to begin our journey home. We allowed ourselves two overnight stops to travel to Caen, with a few hours of motorway thrown in to speed things up! 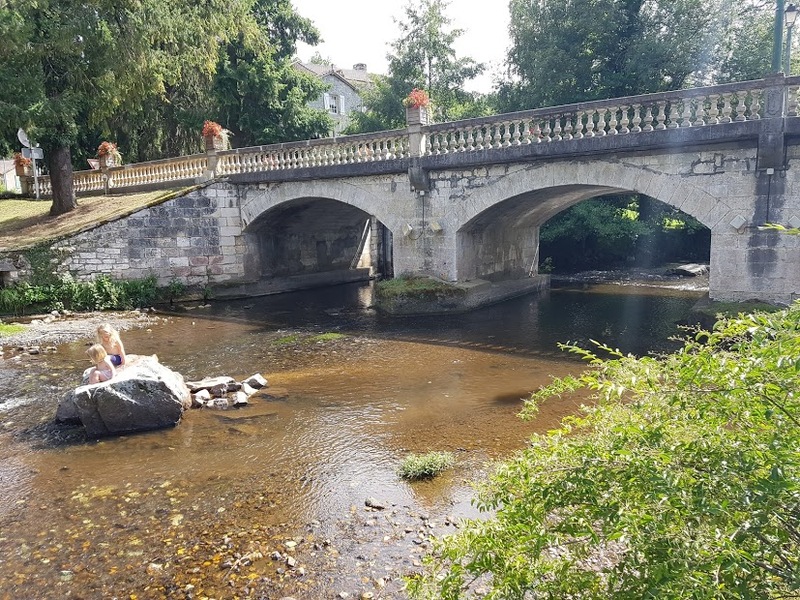 Whilst on one of our ‘scenic’ routes, we came across a beautiful little picnic/paddling spot in Saint-Pardoux-la-Riviere. A very quiet, tranquil little village with a shallow river running through it. We couldn’t resist pulling up and having a paddle to cool off! We spent our final night at Caen Port, in a 2 star hotel called ‘Hotel la Caneda’. It was clean and comfy, and we got a family room for 100 Euros. We arrived back in Plymouth safely, and commenced our seven hour journey home, in Friday rush hour traffic! It was an amazing holiday, if a little tiring with all the moving around. But we are so glad we did it, and can’t wait until our next adventure!! Biscarrosse Plage – beautiful sunset! 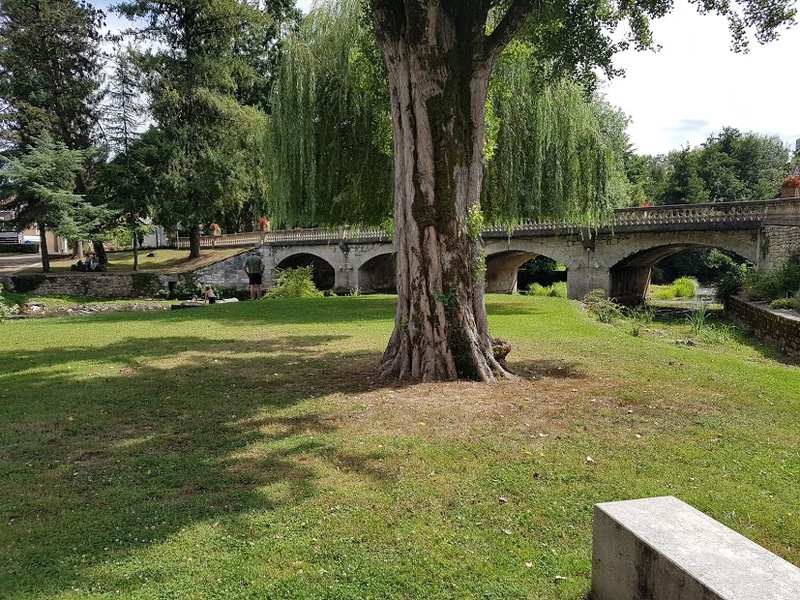 Pontenx – les – Forges has a delicious Pizza van if you are passing through at the right time! Try not to let your fuel tank go below half full, as you never know where the next fuel station will be, especially if you are taking the scenic route!